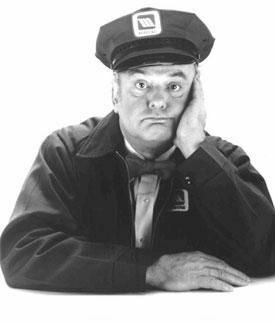 If you live in the US, you will understand the lonely repair man who sits in his office and waits for something to break, in order to keep him busy and provide value and purpose to his life. I have a theory about how he spends his time, but read on.It used to be that when something broke with my home appliances, I would procrastinate, then finally call our local repair man, who would schedule a time, when I was home, to repair the broken item. I must still say, that I have a broken turn table on my microwave and a broken water flow on my refrigerator door that have not been addressed. However, for me, a simple project arose and I was determined to fix my dishwasher dish racks that had begun to rust and fall apart. Two weeks ago, I found the model number on my dishwasher, used my google search, found an online appliance parts store. Now, the dishwasher parts were expensive, but still cheaper than a new dishwasher. When I looked at the dishwasher rack, I told myself that I could fix it! Then part way down the page I found a video, titled, replacing your dishwasher racks, on youtube! I wondered why a repair parts place would have a video for repair people to watch, didn’t they already know? I watched the video and thought to myself, I can fix this. So this video isn't for the lonely repairman but rather you and I.
I searched out two parts online stores, found a site that did not charge a shipping cost, and spent half of what the dishwasher would cost if we replaced it (minus labor and time for my husband to install the new dishwasher). The online parts store claimed the parts would ship out that day and I would be installing parts the next day. There was an online chat associate who helped me confirm the correct part number and rack and I ordered the two racks. The next day there was a huge box in the garage and I looked at it. I considered opening the box, but decided to wait for the weekend.